WHEN I FIRST HEARD that we were going to be posted to Cuba, it occurred to me, “Surely there is nothing to connect Malaysia to this faraway Caribbean island ...” But I found out that the hypothesis of ‘six degrees of separation’ applies to countries as well as people. The first connection, we were informed at a diplomatic dinner party, is that one of the best-known Spanish songs among Malaysians originated in Cuba: ‘Guantanamera’ (‘Lady from Guantanamo’). 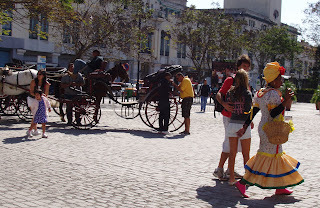 Significantly, the lyrics to the song is based on a poem by José Martí, the Cuban poet and national hero who fought against the Spanish for the country’s independence. Even more surprising came the revelation that many Cubans of the older generation have heard of Malaysia, thanks to a book called Sandokan, the Tiger of Malaysia. Not surprisingly, the mention of this book produced enthusiastic nods from the Cubans and mystified expressions from the Malaysians ... could it be about a tiger from Sandakan? After a bit of Internet research, I discovered that Sandokan was written by an Italian writer named Emilio Salgari in the late 19th century. The book was translated into Spanish as Sandokan, La Tigre de la Malesia and is about the adventures of a heroic pirate chief called Sandokan! 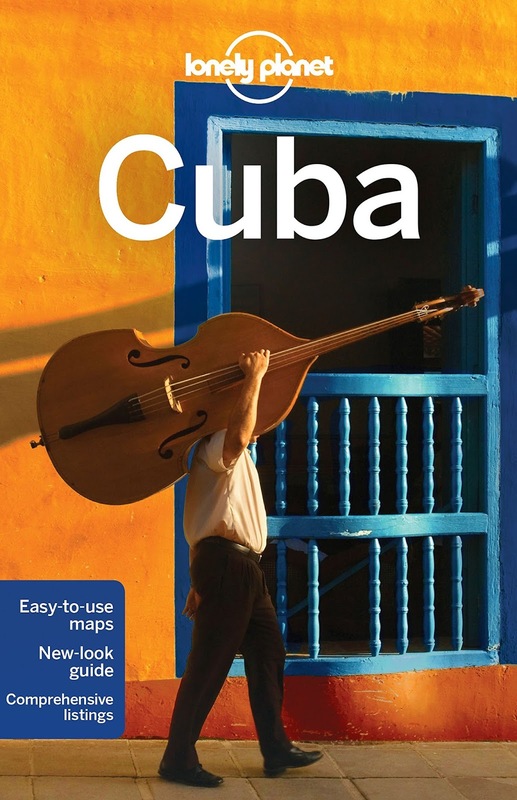 The book was a childhood favourite of Cuban revolutionary, Ernesto ‘Che’ Guevara (who was actually born in Argentina) and became popular in Cuba as well. Apparently Guevara suffered from asthma as a child and was quite the bookworm! Never having read it, I can’t vouch for the accuracy of Sandokan with regard to Malaysia but it seems that Salgari was well informed about the East as he committed ritual suicide in the manner of the Japanese ... but I digress. Cuba was discovered by Christopher Columbus in 1492. However, the Conquistador of Cuba was Diego Velazquez de Cuellar, who founded the first Spanish settlement at Baracoa, a town close to Havana, in 1511. Havana itself was founded by Panfilo de Narvaes in 1519; the original name of the city being San Cristobal de le Habana. 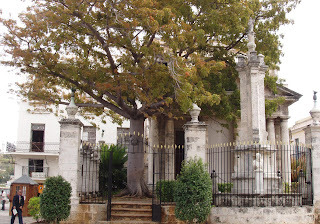 On every anniversary of the city, followers of the Santaria faith light candles around an ancient Cieba tree, planted beside a monument called El Templete, at the stroke of midnight. Due to its strategic location, protected harbour and the fact that the island is close to the Gulf Stream, Havana Bay became the meeting point for Spanish galleons crossing the Atlantic. 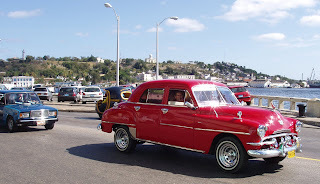 Merchant ships carrying riches from the New World would assemble at Havana harbour, before making the journey to Spain. Havana became the principal port of Spain’s New World colonies and a royal decree in 1634 gave Havana the title Key to the New World! But the city’s wealth attracted the attention of ‘Pirates of the Caribbean’- English, French and Dutch sea marauders attacked the city in the 16th century. This led to massive fortifications to protect the harbour and the city. 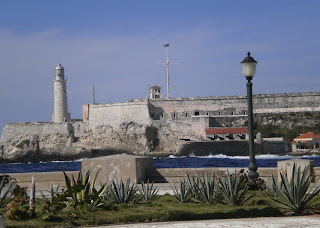 As the only entrance to the harbour is through a narrow inlet from Havana Bay, two fortresses were erected in the 16th century to protect the entrance—El Morro Castle guards the western flank while La Punta Castle guarded the eastern flank. A long chain stretching across the inlet, from one castle to the other, was raised at sunset every day to prevent pirate ships from entering the harbour after dark and lowered at sunrise the next day! A third fortress, La Real Fuerza Castle, located at the historic Plaza de Armas, guarded the city. La Real Fuerza Castle used to be the Spanish Governor-General’s Residence but is now the Maritime Museum. A fourth fortress, the San Carlos de la Cabana, was constructed in the 18th century. 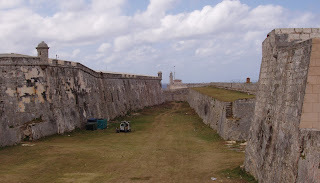 This massive fortress, the largest in the Americas, was constructed not to keep out mere pirates but the British Navy itself. Cuba fell to the British in 1762; eleven months later, Britain returned Cuba to Spain in exchange for Florida. British occupation is definitely the third connection we have with Cuba! Upon regaining Cuba, the construction of La Cabana was initiated to make sure Havana never fell into enemy hands again. Despite its enormous cost, the fortress never engaged in any major battle. 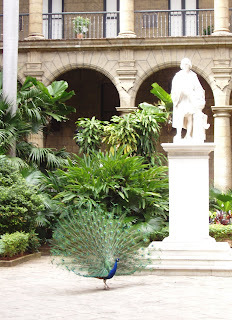 San Carlos de la Cabana is now a museum and a popular destination for tourists. Havana’s strategic location also made it part of a dark chapter in the history of the New World—the transatlantic slave trade. It was the British who introduced slave labour to Cuba in 1762. In less than a year, the British transformed the island’s economy and society by opening trade with its American colonies and introducing slave labour. Thousands of slaves from West Africa were transported to the island to work in the sugar plantations. Havana became an important part of the Slave Route—ships carrying slaves from West Africa would stop at the harbour for supplies. Some would be sold in Havana itself. Most of the slaves were from the Yoruba nation and brought their cultural practices with them, which combined with Catholicism, eventually evolved into Santaria. African heritage is pervasive throughout the Caribbean and it is believed that up to 50 per cent of Cubans are followers of this faith. Eventually, most of the Chinese became integrated into the fabric of the country and many fought in the war of independence from Spain. A few even achieved prominence—among them, the late Wilfredo Lam who is counted among the foremost of Cuban painters. However, many Chinese Cubans left the country for the United States during the revolution of 1959. 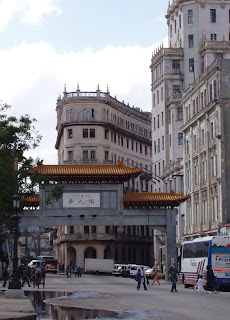 At present, the Chinese Community Centre is located at the former Casino Chung Wah at Calle Amistad, Centro Habana. 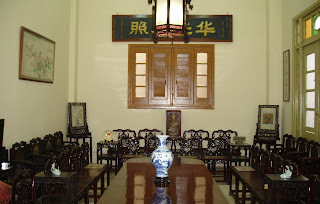 A member of the clan association said that the number of Chinese (of pure Chinese descent) still living in Havana now totalled only 200. However, there are over 150,000 Chino-Cubanos of mixed heritage living in Cuba today. The most famous writer associated with Cuba is Ernest Hemingway. He lived in Havana for the last 22 years of his life and wrote the Nobel Prize-winning The Old Man and the Sea here. This novel is based on the lives of the fishermen he observed in Cojimar, a fishing village a few miles north of Havana. 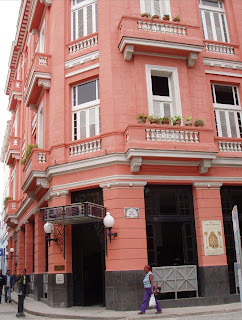 Hemingway actually lived in the Ambos Mundos Hotel in Old Havana for seven years (1932-1939). The famous Room 511 in the hotel, which appeared rather small and spartan to me, has been converted to a museum and preserved for posterity. After his marriage to Martha Gellhorn, Hemingway moved to a farmhouse called La Vigia, located in a village a few miles outside of Havana. The farmhouse is now the Museo Hemingway. This is the sixth connection as I read The Old Man and the Sea as a teen! TUTU DUTTA-YEAN was born in India but grew up in Malaysia. She has travelled and lived in Japan and France as a student and later in Singapore, Nigeria and New York as the wife of a diplomat. She obtained a Bachelor’s degree in Environmental Science from Universiti Putra Malaysia and a Master’s degree from Universiti Malaya before embarking on a career in public relations. Her lifelong interest in culture, folklore and children’s literature inspired her to research, write and illustrate her first book, Timeless Tales of Malaysia. She is the author of Eight Fortunes of the Qilin and Eight Jewels of the Phoenix, and the co-author of Twelve Treasures of the East, a retelling of legends and folk tales from Asia. She currently lives in Havana, Cuba, with her husband and daughter.